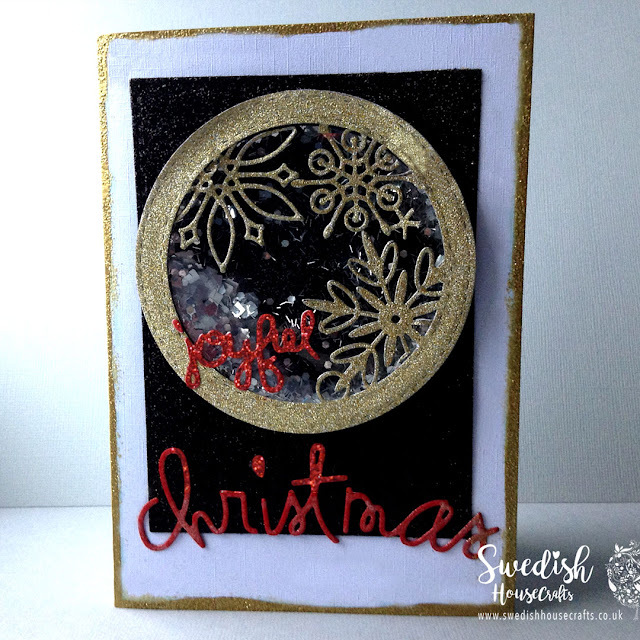 Today it is a lovely glittery shaker card. I have chosen to make it glittery for a change. 1. Paper Smooches sentiments dies. 2. Memory Box snowflakes dies. 3. Simon Says Stamps stitched circles. After creating the shaker I pasted the snowflakes on the acetate and mounted it on the black glitter paper. Thank you for passing by and I hope you enjoyed it.